Say that title a few times - I dare ya! I’ve said this before and I’ll say it again, when it’s this hot outside, sometimes the only thing that quenches your thirst is an ice, cold BEER. 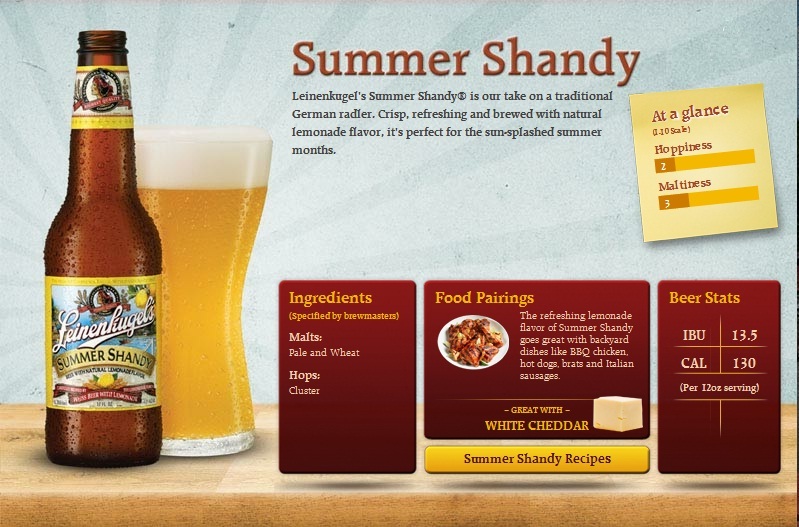 One summer beer that I’m LOVING is Leinenliugel’s Summer Shandy. Yes, it’s a weird name, and even weirder to try and slur out when you’ve had a few, but it’s DELISH. The beer is a fresh summer ale with a hint of lemon. It reminds me of Bubba’s Lemonade, but without the grain alcohol of course! And snaps to the Leinenliugel’s website for including this AWESOME recipe for Grilled Shrimp Tacos!